The finest experts on heat planning in China and Denmark are working together in an expert panel created as a part of the Sino-Danish pilot project on energy efficient district heating. The panel held the first meeting this week. The aim of the expert panel is to act as advisors to a pilot project for heat planning and validators of the recommendations given to the project. Furthermore the aim is to create links between the members of the expert panel in order to improve the aggregated knowledge and make the foundation for a Sino-Danish district heating knowledge network. Both China and Denmark see district heating as an important solution for reducing emissions, make the energy system more effective and for integrating renewable technologies. District heating will and has been one of the main solutions in the effort to keep economic growth and in the same time reduce energy use and impact to environment and climate. The pilot project will demonstrate how dedicated heat planning can evaluate different scenarios for heating and finding the best solutions both regarding economy and environment by considering consumer prices, local economy, company economy and social economy. It is important that the society’s costs from pollution are a part of the overall calculations. Otherwise the chosen solutions may be expensive for society, which has to finance costs from the environmental impacts. This first meeting mark the beginning of a two and a half year’s cooperation with the expert panel aiming to bring new ideas and methods benefitting the pilot project and both China and Denmark. 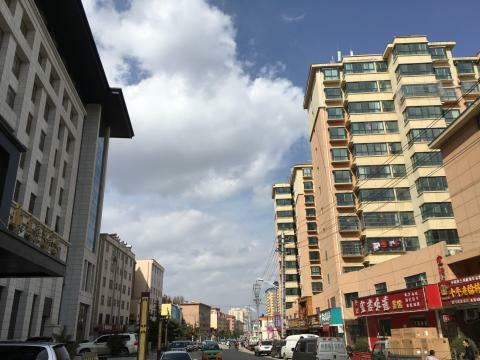 The pilot project is going to develop heat scenarios for two towns in the Shaanxi province, Tongchuan North and Yijun in corporation with the authorities in the region and in the towns. The towns are today primarily heated with individual coal boilers or stoves and natural gas boilers. There is potentially both excess heat and biomass residues available in the areas. Experts’ expectations for the pilot project and hopes for the expert panel? “I would expect to see heat planning methodology in the small cities by fully considering the matching with the demand side and supply side (local resources) with the different situation. And for the expert panel, I would like to work with the experts on how can we set up a reasonable evaluating indicators for the heat planning, how to improve the heating system efficiency, and work on the new technologies for the district heating system.” Xia Jianjun Associate Professor, School of Architecture, Tsinghua University. 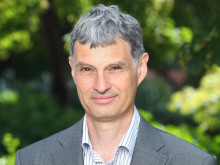 “It is my hope that the pilot project can demonstrate an easy way for authorities to establish systematic heat planning in existing small and large town areas considering renewable sources, excess heat or other efficient heat sources. For the expert panel it is my hope that both the Chinese and the Danish experts can improve the proposed heat planning model, can refine the planning model to a Chinese context and find technical and political suggestions for future heat planning methodology benefitting both countries.” John Tang, Long Term Advisor for the Danish Energy Agency’s collaboration with China. 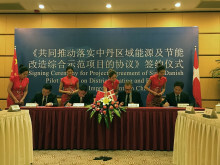 As of today the “Sino-Danish Pilot Project on District Heating (DH) and Energy Efficiency (EE) Improvements in China” has been signed by the Danish Energy Agency (DEA), the National Energy Conservation Center (NECC), the Development and Reform Commission of Shaanxi Province (SXDRC) and the People´s Government of Tongchuan City of Shaanxi Province (SXTC), in Xi’an- Shaanxi Province. The first step in China National Renewable Energy Centre’s “Boosting Renewable Energy” programme was taken from 9-13 February in Beijing, as the Centre prepares to give input on renewable energy to the 13th Chinese Five-Year Plan. A delegation led by the Chinese Deputy Director General for Renewable Energy, Liang Zhipeng, has payed the Danish offshore industry a visit since Monday. The delegation comprises representatives from the Ministry, the Chinese State Grid and other key players in offshore wind in China. The Danish Energy Agency is assisting Chinese developers and the Chinese government in their efforts to create a viable offshore wind industry, transferring Denmark’s more than 30-year experience from offshore wind developments. The Quality Offshore project which has China’s National Energy Administration as its main partner last week held a successful workshop in Beijing. The Danish Energy Agency (DEA) and their Chinese partner National Energy Conservation Center (NECC) have held the first targeted workshop on heat planning in Beijing, China. The Danish Energy Agency (DEA) publishes the publication ‘Danish Energy Partnership programme’ on Denmarks global energy cooperation. The new publication mediates the tool kit that Denmark makes use of in partner countries as well at it shows the potentials and results from existing agreements.